The Google Self-driving car is one of those technologies that everyone knows will have a major impact on society but no one knows quite the when or how or, importantly, who. 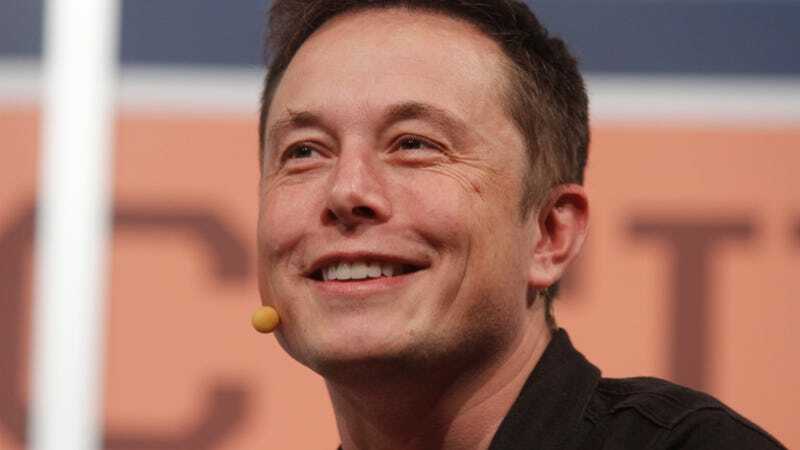 According to Elon Musk, he'd like Tesla Motors to be the "who." In a scoop by Bloomberg, Musk tells them he's talked to Google about their self-driving car technology, although how far those talks have gone isn't quite clear. I've talked to James Earl Jones about guns and BBQ but it doesn't mean we're opening up a shooting range/BBQ joint. Although, maybe we should. Most intriguingly, Musk wants to refer to the system as "autopilot," which is something I agree with. Most importantly, the article underlines that the system is too expensive now for mass execution (you can see how Google's self-driving car works here). Musk's big challenge is to build an affordable electric car and to do that you'd probably need to use a system that uses purely optical sensors and not a 64-beam laser + radar system that Google is using. UPDATE: As we sort of guessed, this was just a general observation and not new technology.